Let us not bore you. 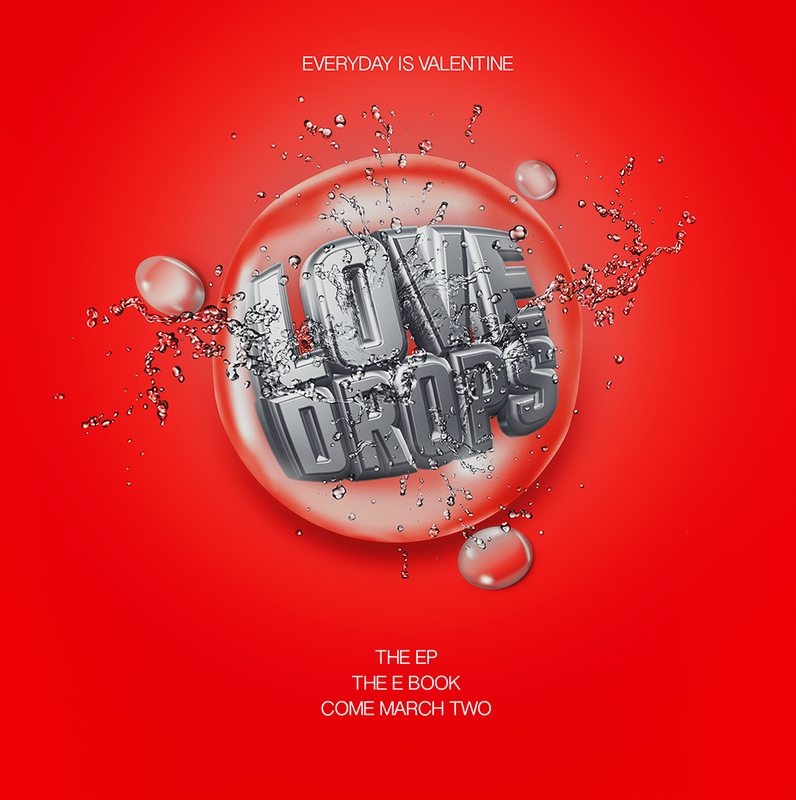 Instead – please read the second excerpt from the forth-coming project; Love Drops. He started awake, jerking as though he’d just stopped himself from falling. Wiping his face from sweat and during-sleep perspiration, he looked around – and then finally up at the woman addressing him. He watched her from underneath his brows, trying to see if she was trying to make fun of him. The lower left corner of her lip twitched as though struggling – and then it gave way to a smile. In spite of his embarrassment, he smiled back. Carefully untangling himself from the chair, he got up. “Why are you still here?” he asked the watching woman as he shrugged on his blazer. He finished and turned towards her to find her regarding him with a question on her face. “You’re still here,” was her answer, and he felt as though he’d asked a foolish question. “That was a good meeting, wasn’t it?” he asked her, some days after as they drove away from one of their clients. “Yes it was,” she responded, but he could tell she was distracted. He turned towards the window, feeling somewhat disgruntled and not knowing why. “Kola, drive us to Tobe’s school, please.” She addressed the driver. Thank you – March Two Cometh! The smile reappeared, and Rachel pushed by Agnes to get into her brother’s open arms. Chris hugged her laughing form, feeling all sorts of sensations crowding his chest. He closed his eyes and pulled her into an even deeper hug – smiling at the low ‘awww’ that came from the watching girl. Chris’ eyes followed her gently moving rhymes-in-motion hips, thoughts all over the place. What does she want now? Why is she doing this? Rachel shook her head. “Mba o, she did not say anything like that. But the way she has been worrying and talking – ” The younger girl broke off as the subject of their conversation emerged carrying a heavy-laden tray. “I hope you’re really hungry,” Agnes said. Wielding the bamboo toothpick like a small knife, Chris poked at the holes in his teeth and regarded Agnes with a mix of emotions – mostly curiosity and suspicion. “What are you doing here, Agnes?” he asked. Rattling pots and plates betrayed Rachel’s location, and he didn’t think she would be coming out any time soon. She smiled. “Not exactly – I’m catching up.” She stood up and walked to his side of the table. “I’m – I’m sorry. I was just so afraid. It all happened so fast…” Dorrobucci started to play from somewhere in the living room. Agnes stopped and looked at the sofa – particularly at the red and gold purse that lay on it. The ringtone cut into the conversation with the precision of a surgeon’s scalpel and Agnes sighed. Chris watched as she moved over and snatched the purse, impatience in her every move. “Yes?” she barked as soon as she picked the call – and then her voice softened. “Oh. Hi Nnamaka.” She was quiet for a bit – and then she said “Now?” sounding upset. “I’ll help you pack,” Rachel said from the doorway, and both women walked out of the living room while Chris cradled his head in his hands, lost in memories. She waved, and the vehicle slowed almost immediately, moving in a crawl by the time it stopped beside Agnes. There was something familiar in the way the driver cocked her head, but it was until he was about to greet her it came to him with the force of an angry slap from a frustrated wife. “Chris, meet my sister Nnamaka,” Agness had said – and so Chris bent his head to stick his hand through the passenger window for a handshake – but then his eyes met those of the girl at the steering wheel – meet the glint of mischief shinning in their depths – and his hand froze. Froze, because he recognized the eyes. The last time he saw them, they were closed in passion, above a mouth that was making sounds for the same reason as they met those of another woman – Temi, his superior at work to be exact. She was the girl in red. It took Chris only three hours to get over the fact that Temi had paid the quarter of a million naira into his account. By that time, he was standing in the roomy foyer of the Lakeside Hotel in Tinapa, waiting for his reservation to be confirmed. He tried not to show his ‘bush’ nature – that is; the fact that hotel foyers like the one he was standing in at the moment were not really his thing. He was more comfortable in Iya Sidi’s amala joint and in BRT buses and in KFC; thanks to Agnes. He blew the name out of his thoughts and walked to the desk. “Hello,” he said to the fake-smile smiling young man behind the desk. “Hello sir.” was the response. “One moment sir,” the grinning monkey said. He punched some keys on a screen while Chris covertly looked around. His eyes were doing a 360 roam – and then they hit a spot and froze. Obviously, on that spot was a woman. But she was one such he hadn’t seen before. She was…she looked like Toolz; minus the roundness. 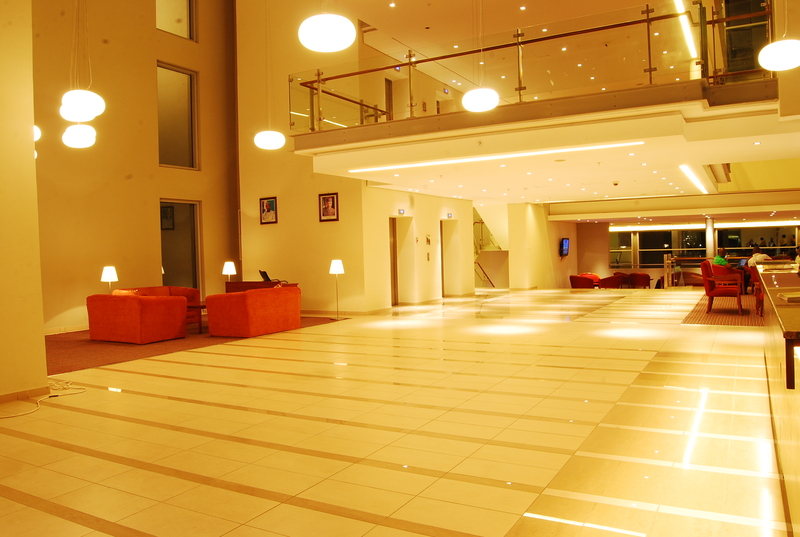 She was tall, stately – she looked like she belong in Lakeside Hotel, Tinapa Calabar. She looked towards Chris and he averted his eyes quickly, feeling out of place. Chris handed his card over, stealing covert looks at the girl in red. She was still looking at him – but now there was a bored look on her face. He wondered why she was standing in the middle of the room, looking at nothing in particular. “…card sir,” the Gollum said patiently, smiling all the time. Chris jerked back and collected the proffered object. Chris nodded his thanks at Gollum, and followed Bayo towards the elevator. A smiling bellhop pushed the elevator button – and as the double doors slid open, Chris looked over his shoulder at the girl. She was still staring at him. Leaves of the one mango tree still standing in the compound trusted softly in the wind, edges catching reflections of the done street light mounted at the top of the NEPA pole a few houses away. A solitary Okada sped down the road with its passenger, a buxom woman who looked like she was trying to stay on top of a horse. Conversation sounds came from neighboring houses, mixing with the smells of different local dishes being made in different houses. The barber at the end of the road was playing some Olamide loudly, giving the different hues of humanity ambience. It was a rare, beautiful evening. But as it usually is with such things, not everyone experiencing it was enjoying it. Chris was one such a person. From his vantage point on his landlord’s balcony, he could see everything perfectly. See; but wasn’t a part of. His left hand itched and he scratched at it steadily, but it was more like distracted reflex. His mind was trying to sort through the events of the past nineteen hours. He avoided thoughts of the LaCasera bottle and the smashed picture frame, thinking instead of his mandatory leave and what had led up to it. Working with Agnes was becoming more of a burden the more he thought about it, and he wondered if it wouldn’t be better if he just transferred elsewhere – or just quit altogether. His nerves were slowly being stretched – and he didn’t want to confront the thought of what would or could happen if they snapped. If he snapped. His phone started to ring. Not exactly in the mood for conversation but wanting to know who it was, he picked the call, refusing to acknowledge the faint hope that it was Agnes calling. The cultured tones that bathed his ear wasn’t hers. “Hey Chris,” a female greeted. “The I’m fine or the truth?” He asked, feeling the icy hands of loneliness reaching out to hug him. There was silence from the other end of the phone but he could hear her breathing. “Temi?” He asked. “Are you going to tell me how you are?” She asked, voice still the same controlled calm. Chris sighed. Chris stood on his landlord’s balcony, even more confused than he’d been minutes before. Chris sighed deep within as he walked down the hall towards Temi’s office. That; he reflected, had been a really unsmart thing to do. Thing was; she rubbed him off the wrong way and he did not feel a need to disguise it. Still – she was his superior and she did her job well. Sigh. Too late now for sober reflecting. He stopped in front of her door, moved his shoulders, settling the dark blazer before tapping on the door with the tips of his fingers. She mumbled what he assumed was a ‘come in’ and he pushed the door open. She was still wearing the jacket, sitting behind her desk like a head mistress, head and shoulders stiff, back straight and forward. He resisted the urge to laugh and took the seat she indicated with a wave of her hand. She removed her glasses and smiled at him. His eyes were fixed on the corner of her mouth. Her lips were thin but wet, somehow they contrived to look appealing in spite of their thinness. He wondered idly what it would be like to kiss her – and then wondered if she’d ever been kissed. She nodded again and waved him away. He thought about apologizing – but he meant what he’d said to Agnes. Temi did not seem like the typical weak woman; she gave as good as she got and she was freaking smart. He just wished she was a bit more…you know; feminine. Like Agnes. A whole lot of good that had done him. He bit the retort that rose to his mouth and walked out of her office. I deserved that; he admitted, footsteps in the abandoned corridor echoing as hollowly as his heartbeats in his ears. Shiny red nails rang on the table, sending all sorts of signals into Chris’ left temple. Watching the woman sitting across him from under shaggy eyebrows, he muttered in distaste. Women. Hell to live with or without. He was – or rather, had been practicing the ‘without’ part for some time and he did like it, even though he longed for company of the other kind sometimes. The tap tap tap came again and he was reminded why he had decided; eleven months ago, to try the without part of the story. Agnes. Hell in a skirt, hell on a man. He looked up from his feet and met her eyes. There was a mocking smile on her face, a smile that said I know what you’re thinking. Sorry I can’t help you. “I’d rather die,” he mumbled half-aloud. He turned slightly in his chair to face the head of the department. Looking at her creased the middle of his forehead. Temi looked like she had been force-fed into a meat wringer sometime in her teenage years, and as a result she wore her clothes with as much aplomb as a clothes hanger. In them she looked like she could play hide and seek in an empty tin of sardines – no disrespect to the tin. Her jaw muscles clenched and his hand flew to his mouth as he converted the snort about to come out to a cough. Gently, muscles trembling, she put the marker she’d been writing on the board with on the table beside the MacBook she was sharing slides from and left the room, marching quickly and efficiently. He hated the way the fine hairs on the back of his neck stirred as though a soft wind was blowing through them. Arranging his face into a look of disinterest, he cocked his right eye in Agnes’ direction. The office boy nodded and retraced his steps as Chris looked at Agnes with a question on his face. Chris stood up and buttoned his jacket, easing himself out from behind the table. “Here goes,” he whispered at Agnes. He nodded and bounced out. Her hand writing flows across the pages; kinda like Italics when you do that CTRL+I trick on your keyboard. I see another sign that she truly has beautiful hands. But she wants me to read her journal – specifically; some pages she has opened for me. Intrigued, I begin to read. “No! Please don’t read that,” she says, giggling in embarrassment. A bright red fingernail traces down the page and taps a spot emphatically. “Start from here,” she says. My client finally decided to give Mina the account. I’m so happy for her. She wants to take me out to celebrate. It would give us a chance to catch up, it has been too long. I’ve missed her a lot. As we talk through dinner, I realize there’s something else on her mind, something she’s not telling me. Man troubles? Turns out I am right, not just in the way I expect. There’s this guy at her office who she thinks will interest me. I don’t exactly find that flattering, not immediately. She’s trying to hook me up with her creative team head. Do I look like I need to be match-made? Mina calms me down. She’s always known how to do that, no wonder they called her my sister on campus even though I am older. She tells me about this guy and how he is quiet and…’somehow’ is the word she used. Somehow? I am curious in spite of myself. I have not known Mina to be someone who does hook-ups as a trade, neither have I known her to waste her time with some kind of men, the kind that seems to about nowadays. She’s a girl who has a straight head screwed on correctly. How does she know he’s single? Damn girl says of course she knows, he works for her and winks at me. Can you imagine? I’m a bit afraid. It didn’t go so well last time and I seem to be enjoying my own space a lot lately. I have been getting to do stuff for myself, things a wrong relationship would get in the way of. I am scared. I have to turn the page here.